His Eminence Cardinal Eijk appointed father Ton Huitink as new parish priest of our Salvator Parish. At the same time he is appointed as parish priest of two other parishes in Utrecht. Father Ton Huitink has the task to set up one pastoral team for Utrecht. He is 58 years old and currently lives in Baarn. This Friday, the 4th of September, at 19:00 he will be officially installed at the St. Catherine’s Cathedral (Lange Nieuwstraat 36, Utrecht). You are all invited to attend this special mass! At the 6th of September he will co-celebrate our annual St. Augustine Feast at 10:30. 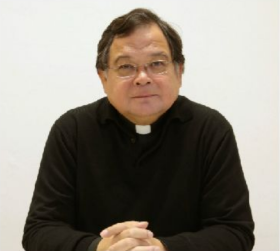 We warmly welcome father Ton Huitink!